What is The Lost Seal story about? 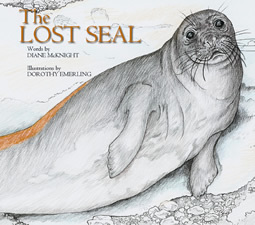 The Lost Seal children's story, written by Antarctic scientist Diane McKnight, describes the first documented encounter with a live seal in the remote McMurdo Dry Valleys of Antarctica. This educational story tells of one seal's travels in the Antarctic desert and provides an engaging framework for conveying how different Antarctica and the Dry Valleys are from the environments with which children are familiar. 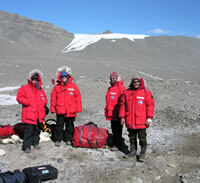 Along with videos taken at the time of the event and photos of the Dry Valleys region, The Lost Seal story was sent to 2-4 grade classrooms in the U.S., U.K., New Zealand and Australia, reflecting the involvement of explorers and scientists from these countries in research in the Dry Valleys. The participating children created original artwork and descriptions that are all viewable on this website. Selected artwork was also included in the final publication of the book. How do I find my artwork? Simply click on the blue "search for art" button at the top of this page. You will choose your country, then the name of your school from a drop-down list. Next, you'll see a list of artwork with the artist's name and description of their work. Then click to see a high-resolution downloadable image. What else can I do on this site? 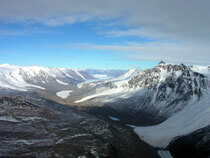 Learn more about the story, contributors, and Antarctica in general by exploring the buttons at the top of this page! You may return to this page any time by clicking on The Lost Seal banner at the top.